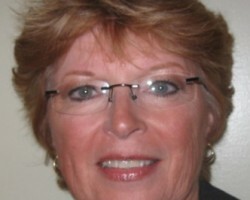 A Wedding to Cherish is owned and operated by the licensed wedding officiant, Susanna Goulder. This expert works to create personalized ceremonies that reflect who each of you are individually and as a couple. The ceremony should be a celebration of you and of your joining together in matrimony. This is exactly the spirit that Susanna captures in each wedding that she conducts. This kind of approach and flexibility is something you will only find when you work with this company. Some couples would like to elope while others require a lengthy and more personal ceremony. To accommodate for all couples, Ohio Clergy Services have created packages that couples can choose from. Each package has variations that can be customized as well as different prices based on the involvement of the Cleveland wedding officiants in the planning and on the day. You will love working with a service that has so much to offer and is so flexible for couples tying the knot. The Weddin’ Guy is a wedding minister in Ohio that is available for ceremonies across the state. 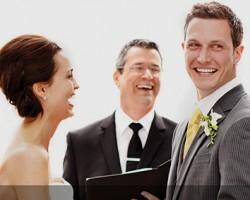 You can contract this professional to be your low cost officiant any day of the week. One of the best aspects of working with this expert is that he will direct you on how to save money on your wedding overall. Part of taking the stress out of the day is making sure your ceremony is perfect and assisting you to make sure everything you want for the occasion fits in your budget. 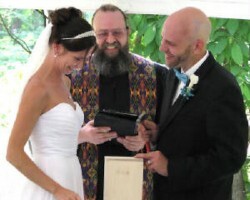 Damian is the wedding officiant in Cleveland, OH that owns and operates United Marriage Service, LLC. This wedding expert offers everything from officiant services to marriage coaching before and after the ceremony. This is a professional that truly believes the wedding is your day and that you should be in control of all aspects. That is why he works closely with couples to come up with a custom ceremony that suits their style, their sense of humor and their love story. Rev. Cheri McPherson, of Weddings by Cheri, has performed countless weddings in the area. Cheri offers everything from custom weddings that are interfaith to traditional non-denominational scripts. When you work with Cheri, you are really in control of your entire ceremony. She will work with you to make sure the ceremony includes all of the necessary legal jargon while also making sure it remains intimate and true to you as a couple. This is one of the best things about working with her and this can be seen in the reviews. Celebrations of Love is a Non-Denominational wedding officiant service. We provide a professional ceremony based on your wishes, whether a simple exchange of vows or a personalized ceremony with your own vows.We know your wedding is a monumental event for you and your family. We would be honored to be a part of your special celebration. We serve the Cleveland Metro area as well as the surrounding suburbs in Cuyahoga and other counties in Northeast Ohio.